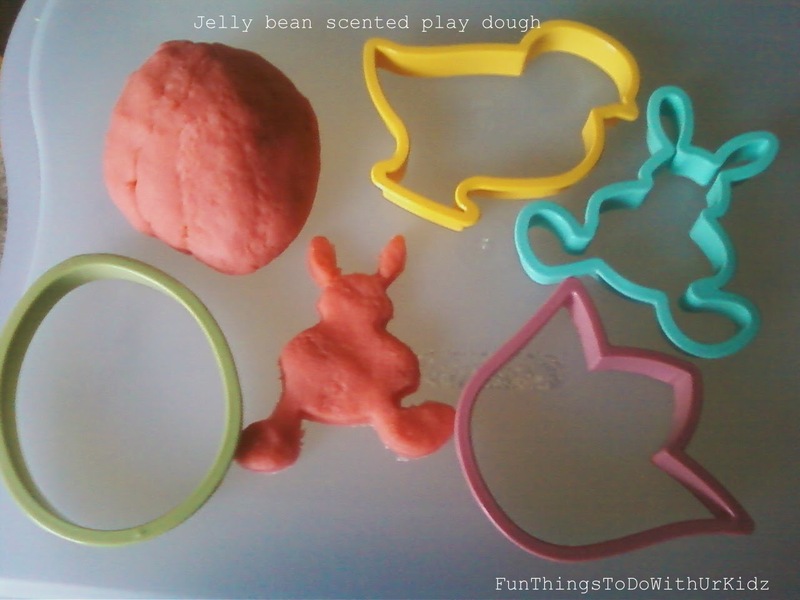 To make use ur favorite play dough recipie and replace the water with water that has had jelly beans sitting in it. We made this after we did the jelly bean expermint and used the water from the red jelly beans. Note~ we also added some red food coloring. The play dough was coming out pink and I just wanted it a little more red.